As a certified diver, the sooner you realise that you are responsible for yourself, the better. Far too often, I hear divers talking about their past experiences, blaming their dive guide or buddy for getting them into trouble. Tales such as “I was happily following the guide who lead me into a near out of air situation”, “lead me into decompression”, “got me lost…” The list goes on. Sound familiar? If it does, it is time to stop blaming your buddy or your dive guide, stand up, be accountable and be responsible for yourself. I do not want to sound conceited in my view. To add some context , it was not until I completed my Rescue course that the penny actually dropped for me. I realised that I was responsible for myself, my buddy and also had a duty to other divers on the boat or in the water. It was the Rescue course that armed me with the skills and confidence to make this leap of faith. With this in mind, I cannot recommend completing a rescue course enough. Self rescue courses are also worth considering to ensure that you are trained and capable of being self sufficient in an emergency situation. So aside from recognising that you are responsible for yourself, the buddy system is the cornerstone of recreational diving. Arguably, diving with a buddy is safer. I say arguably, as this is not necessarily always the case. Safer diving with a buddy assumes that your buddy is also self sufficient, skilled, sensible and recognises their part of the buddy deal. They need to be not only responsible for themselves but, in the case of an emergence, responsible for you. Level of training? This is a good starting point as it will give you an indication of experience. How long? Ask how long your potential buddy has been diving for. Once you have determined this, probe a little further. Someone that has been diving for 20 years may have only done a handful of dives whereas a recently qualified diver may have completed significantly more. Last dive? This links into the how long have you been diving question. The more recent the experience, the better. Where? 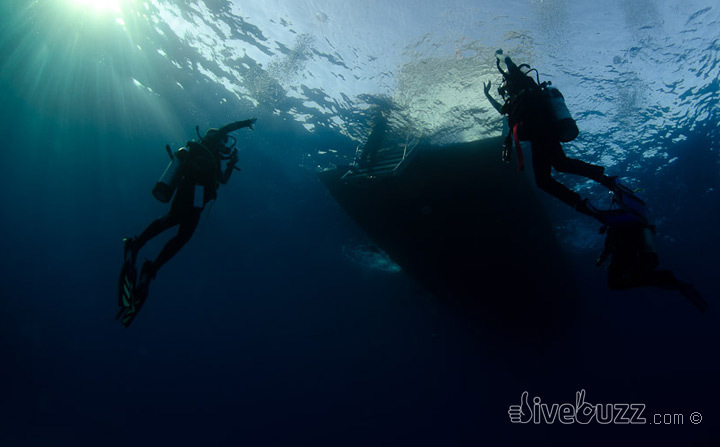 Find out not just how many dives but get an understanding of the type of diving too. Tropical or temperate, wreck, deep, drift, salt or freshwater and so on will help you build your view on their level of expertise. Don’t be afraid to ask. These are important questions when you are assessing if you can rely on your buddy if and when required. If after your questioning , you determine you are not suited, again do not be afraid to say so. Less experienced divers will generally not mind being buddied up with the dive guide, whereas, if you are more experienced, you may be able to push in with another team. Buddy threesomes work remarkably well! If you are experienced it will also be easy to spot similar people pre diive. Watch how divers assemble their equipment. Are they competent, quick and look as though they could do it with their eyes closed, or do they look confused and make mistakes? Navigation – I recommend that this is a joint responsibility. Agree where you will go, compass bearings, turnaround point and so on. Review your hand signals. Whilst there are standard signals, many divers have their own versions also, so important to review. Agree air supply turnaround point, most importantly, agree at what air pressure you will inform your buddy of. This will vary depending on your dive, however as a rule of thumb for a shallow no decompression dive a good starting point would be 100bar (1,500psi), to turn around, 70 bar (1,000psi), to commence your safety stop and 50bar (700psi) to be back on the surface. Agree what to do if you lose each other – the standard procedure would be to look for 1 minute and then reunite on the surface. Agree what to do in an emergency situation. I recommend diving with a slate, especially with a new buddy as anything that may have been overlooked in terms of surface communication can be continued underwater! I have had countless slate arguments with my husband underwater, so a very useful piece of kit indeed! So what are you waiting for? Get assessment techniques into practice to ensure you secure a good dive buddy. Above all, safe diving! If you’d like to ditch your buddy and try solo diving, then check out our article Going Solo – the SDI Solo Diving Course.